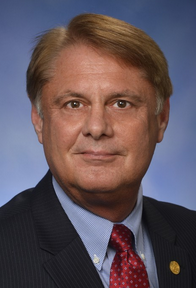 Current representative: The current representative for the 104th District is Rep. Larry Inman (R-Williamsburg). The district features Grand Traverse County. During the 2015-2016 session, Inman was chair of the House Appropriations Subcommittee on the Department of Military and Veterans Affairs and was vice chair of the House Appropriations Subcommittee on the Department of Natural Resources, according to House Republicans. During the 2017-2018 session, Inman is a member of the House Appropriations Committee and serves as chair of the Joint Capital Outlay Subcommittee. He was first elected to the House in 2014. A map of the 104th District is available here. Rep. Inman raises money through a candidate committee, Larry Inman for State Representative.